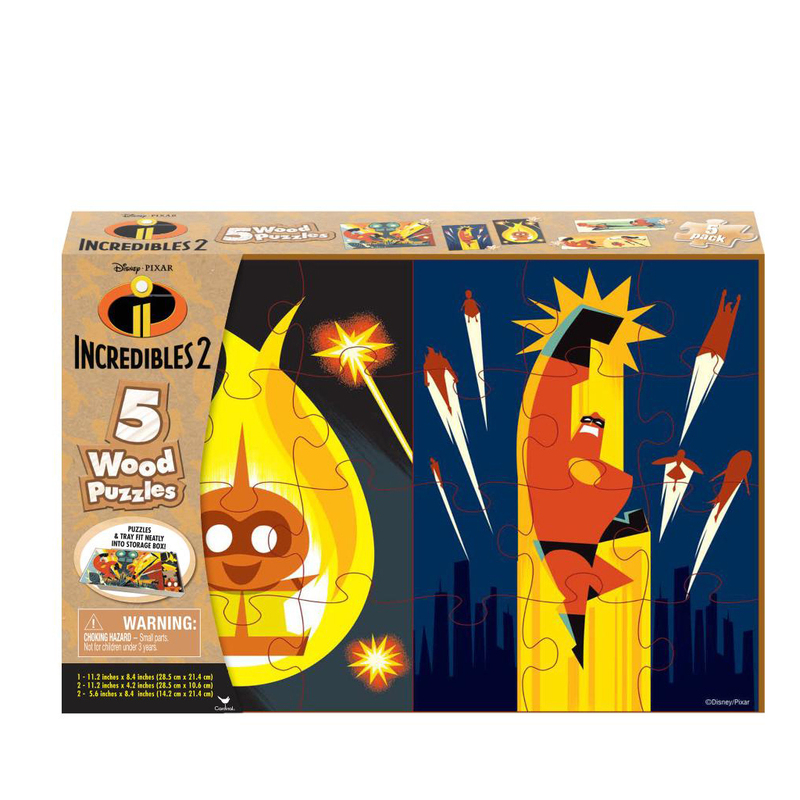 Kids will love piecing together this Incredibles 2 five-pack of wood puzzles! With five puzzles included in one amazing set, hours upon hours of fun surely lie ahead. All of the characters from the movie are featured, with wooden puzzles of all shapes and sizes that fit neatly into the included storage box. These puzzles are of the highest quality and will last for tons of constructions without losing their easy fit. This set includes one 24-piece puzzle, two 16-piece puzzles, and two 12-piece puzzles. Kids can work up to a higher piece count, or those at different skill levels can all work on differently-sized puzzles together. 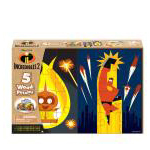 This puzzle set is sure to become the new favorite activity of any Incredibles 2 fan.